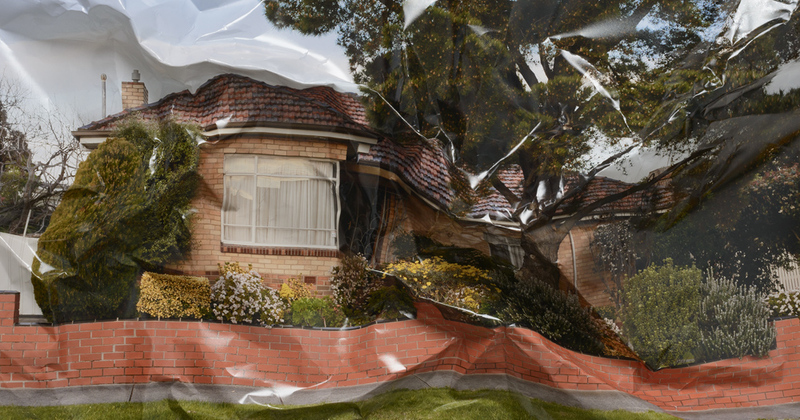 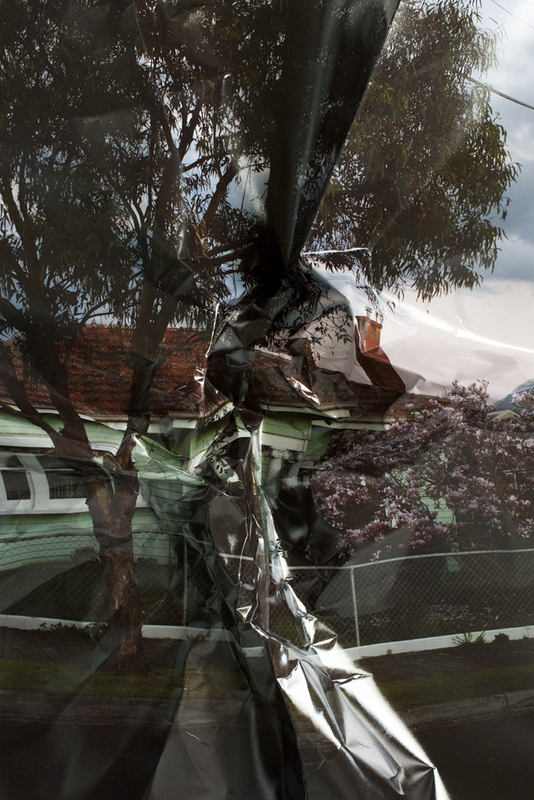 Initiated after a failed relationship, the Endings series of photographs highlight the increasingly prominent place the nuclear family has in Australian political debate whilst questions its actual position within Australian society. 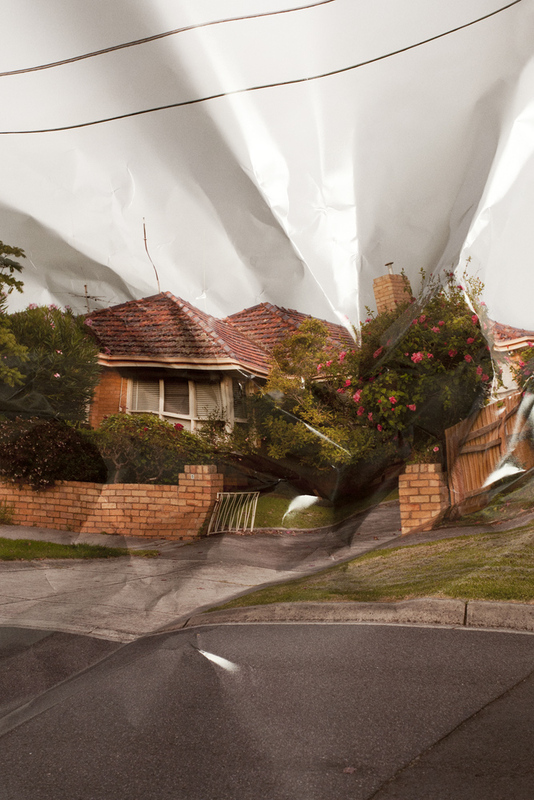 At a time when the social fabric is increasingly frayed and single households are becoming more numerous, this work questions whether the political emphasis is misguided and adding to the fragmentation of a community trying to negotiate a rapidly changing world. 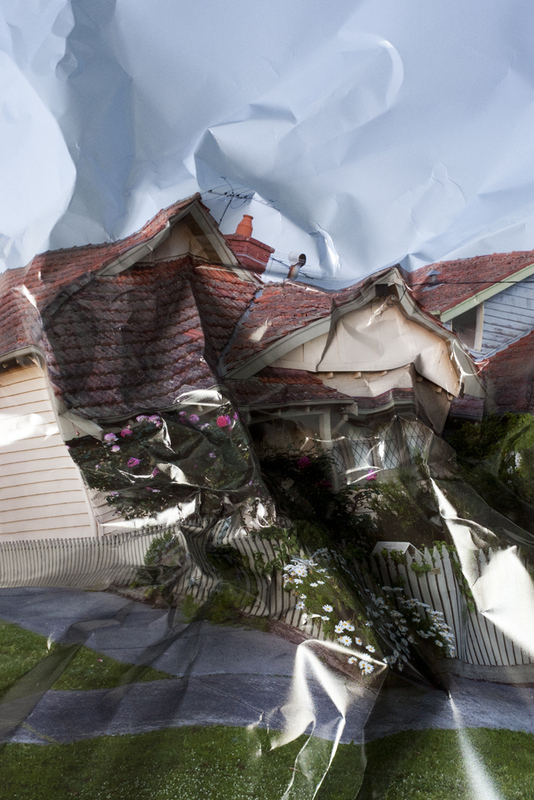 By dismantling the classic post-war suburban home I am demonstrating the loss of an ideal whilst articulating the pain felt in it’s passing. 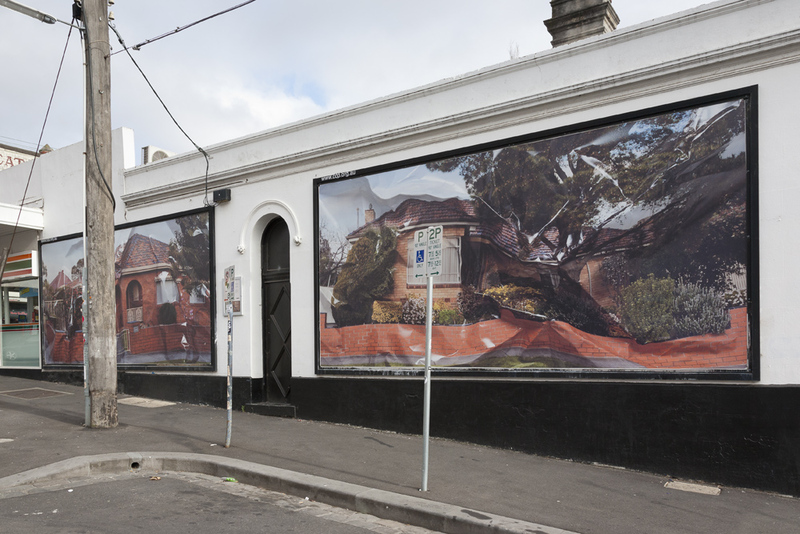 Located in Collingwood, the CCP/City of Yarra Billboard Project is a public art space featuring two 6m x 3m billboards. 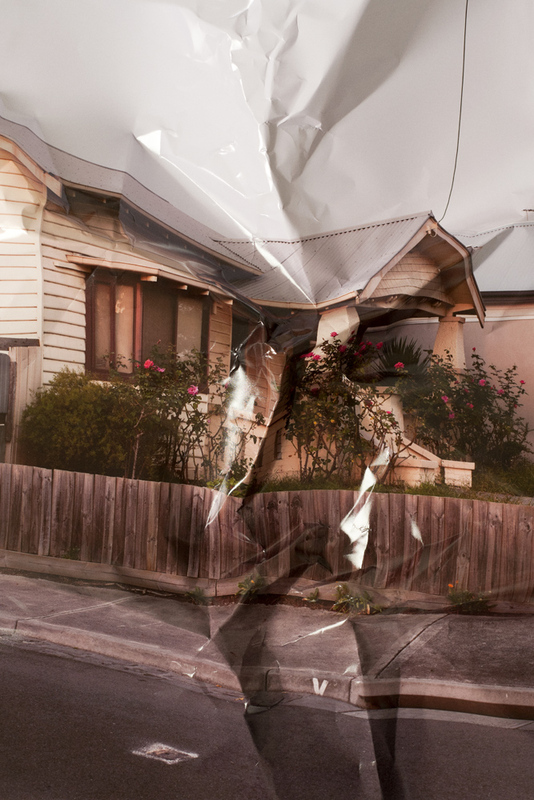 I was commissioned to produce two new works that extended the 'Endings' series begun in 'We'll make it last forever'. 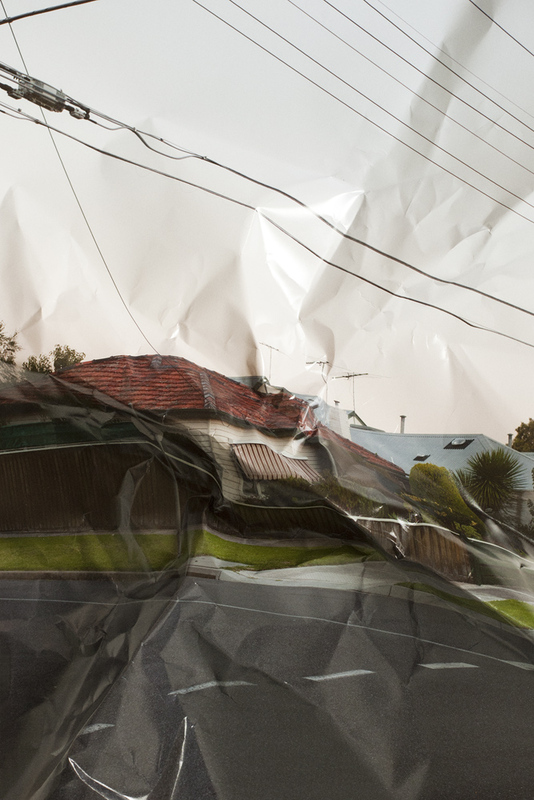 Due to their subject matter and the location of the billboards these works presented an interesting and poignant juxtaposition with the local area.